Stay at the Holiday Inn&reg of Hasbrouck Heights, New Jersey and we'll show you the best ways to see the vibrant Metropolitan area. Our hotel is just minutes from big time sports and entertainment at The Meadowlands featuring the NY Giants, NY Jets, The New Izod Center and Xanadu. Newark Airport is just 14 miles away. The Teterboro Airport is 1 mile away or 12 miles from big business and the dynamic nightlife of Manhattan. New York City can be reached in 20 minutes. 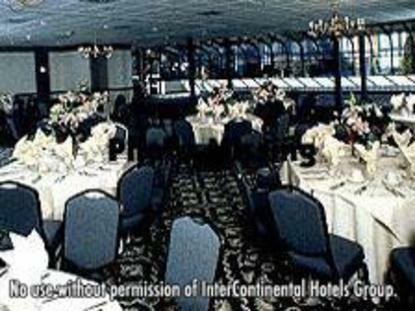 You will enjoy our tastefully appointed guest rooms, conference areas, banquet rooms, restaurant, lobby and more Now available on site Dollar Rent a Car and Bananas Comedy Club. Special guest amenities now available. Free high-speed Internet access by guest WiFi, 24 hour business center offering complimentary Internet access, Windows, Word, FAX and a copy machine, guest laundry facilities, 24 hour fitness room, seasonal outdoor pool, and concierge service. All this and the area's most experienced team of service professionals. Our friendly staff wants you to stay with us. For reservations and special packages, call 1-800-438-8687. Learn how you can earn frequent flier miles at our inn This hotel is committed to providing accessible facilities under the American Disabilities Act. If your accessibility needs are not met, please contact the Hotel Manager on Duty. Should you require additional information regarding accessible facilities for guests with disabilities, please call 1-800-Holiday (U.S. and Canada) or contact the hotel directly. For the hearing impaired, TDD service is available at 1-800-238-5544 within the U.S. and Canada.